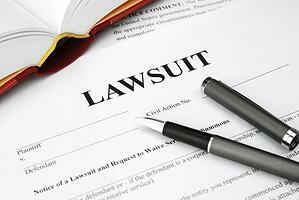 Can I Sue A Government Entity for a Personal Injury Accident? Suffering from a personal injury accident can be devastating not only to the individual injured, but also to the individual’s family members and friends. Our firm often receives inquiries from individuals concerning potential lawsuits against a public entity. Many people are surprised to learn that an individual can seek recovery from a government entity for injuries directly related to their tortuous actions. Unlike personal injury claims against private individuals and entities, the New Jersey Tort’s Claims Act sets forth guidelines in which a plaintiff may recover for the tortuous actions of public entities and public employees. As a prerequisite to proceeding with a tort claim against a public entity, the injured individual must file a notice of claim with the public entity within ninety (90) days of the accident date. Under “extraordinary circumstances” accompanied by a showing that the public entity had not been substantially prejudiced, a plaintiff may file a late notice of claim within one year of the accident. If the individual fails to file the notice during the prescribed time, it may bar the injured individual from seeking recovery. Therefore, it is important to hire an attorney immediately following an accident, so they can send notice to the appropriate public entity. This is imperative, even if the individual decides not to move forward with the lawsuit. The second hurtle that a plaintiff must overcome is that he or she must prove a permanent and substantial injury to permit recovery. Under the New Jersey Torts Claims Act, public entities are immune from lawsuits unless there is a permanent loss of a body function, permanent disfigurement or dismemberment. This is a high standard and in many cases, difficult to overcome. For example, in Paz v. State of New Jersey, the plaintiff suffered injuries to her neck, back, and shoulders after a trip and fall accident on a sidewalk at the Motor Vehicle Commission. The plaintiff was diagnosed with cervical disc herniation, chronic neck pain, cervical neck pain, cervical radiculopathy, lumber disc hernia, lumbar radiculopathy, chronic back pain, status post lumbar microdiscectomy and failed back syndrome. Following surgery, the plaintiff reported her pain was largely resolved and her treating doctor stated she had reached her medical benefit. The plaintiff returned to work for two years following the accident. Although the plaintiff continued to have pain, she had no medical restrictions and relied on over-the-counter medications. Although the plaintiff’s medical expert found a decrease range in motion, he did not identify a substantial loss in bodily function. The court found that the plaintiff did not sustain a permanent loss of bodily functions under the language of the Torts Claims Act. The court noted that a mere limitation on a bodily function will not suffice to overcome the limitations of the NJ Tort Claims Act. Thus, the court dismissed the plaintiff’s claims. This case is a good example that even surgery and bodily limitations may not overcome the Tort Claims Act. That is why it is imperative to retain an experienced personal injury attorney with knowledge of the NJ Torts Claims Act prior to filing a lawsuit. Similarly, the Torts Claims Act sets forth various immunities afforded to the government and its employees. Some examples include that neither a public entity nor a public employee is liable for an injury caused by the failure to provide ordinary traffic signals, signs, marking, or other similar devices. Another provides immunity for the plan or design of public property, either in its original construction or any improvements, where such plan or design has been approved in advance of the construction by a governing body exercising discretionary authority to give such approval or where such plan or design is prepared in conformity with standards previously so approved. If you or a loved one have been injured by a public entity, please call our law firm for a free consultation and speak with one of our experienced personal jury attorneys with in-depth knowledge of the NJ Tort Claims Act.